Excuse the lateness in getting this out, but a week of trying to wrap reviews up and keep two kids occupied on half term has taken its toll. 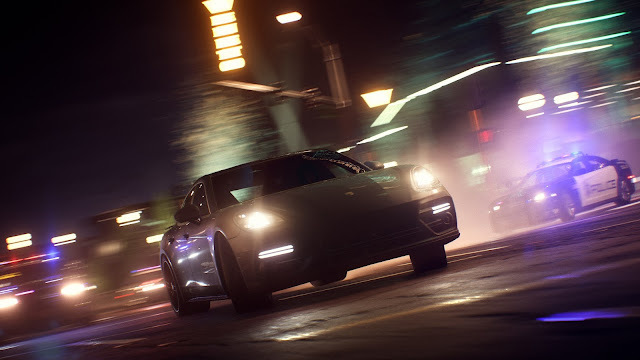 EA announced this week that Need For Speed Payback is set for a release on November 10th, with a shiny Fast & Furious like trailer to go with it. The game sees you take control of three characters, those characters being Tyler (the Racer), Mac (the Showman), and finally Jess (the Wheelman). The game is set in the underworld of a place called Fortune Valley, with the story set to be a quest for vengeance against the House, a cartel that rules the city’s casinos, criminals and cops. Going through a variety of challenges and events if you wish to get these three characters what they want, the game also features the deepest customization options ever, with players able to craft and personalise a unique ride, or spend hours finding and tuning an abandoned derelict into a supercar. If you enjoyed previous games in the series, then this looks likes one to watch when it comes releases on November 10th. Of course, you get to try it out first on Xbox One when it comes to early play on EA Access the week before release. On November 2nd EA Access members will get the standard ten-hour trial, with no mention of a cutoff point in terms of story progression in the press release, but will know more about this closer to the release. People who pre-order also get a few free gifts, with the basic pre-order giving players a Need for Speed Payback Platinum Car Pack, gaining them instant access to five iconic cars, all of which also have exclusive blue tire smoke. The cars in this pack are a Nissan 350Z 2008, a Chevrolet Camaro SS 1967, a Dodge Charger R/T 1969, a Ford F-150 Raptor 2016, and wrapping things up, a Volkswagen Golf GTI Clubsport 2016. Going that extra mile and pre-ordering the Need for Speed Deluxe edition, players are given access to the full game three days early (November 7th) too. Along with this, deluxe buyers will also gain access to exclusive customization items such as the Deluxe Edition license plate and NOS colour, in-game discounts, Rep bonuses, plus everything the Platinum Car Pack has to offer, and more. You can pre-order the both STANDARD and DELUXE editions now on the Xbox store, which you can do so by clicking the version you want on this very post. I will be sure to bring you some early footage of the game when it comes to EA Access later in the year.